The Premier League is asking clubs in the top flight about their opinions on the safe standing debate. The league sent a survey to all the clubs to know it they would support safe standing in a section of their stadium. Liverpool FC has said it would be against the move as they continue to stand by the Hillsborough Family Support Group (HFSG). They are asking for all-seater grounds only. Celtic FC opened a 2900-capacity ‘safe standing section’ last term after getting the necessary approvals from the Glasgow City Council. The survey comes days before the Hillsborough families would get information on whether criminal charges would be filed against those that played a part in the infamous tragedy in 1989 and its cover up. The Sports minister has revealed that the controversial subject of ‘safe standing’ would be reassessed. The Hillsborough families claim it would be a backward step but the government insisted they are not considering a U-turn on the policy. MP Tracey Crouch claimed the trial in England remained slightly open even as the Department for Media, Culture and Sport announce that the policy of all-seater stadiums would not change. The conservative MP said the government was not persuaded to reintroduce standing accommodations but that it would monitor the Scotland introduction closely and “reassess” based on evidence from the Scottish experience. 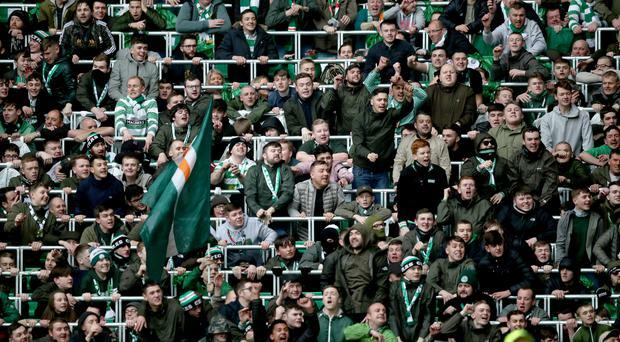 The safe standing experience could be expanded to accommodate more Scottish sides if the trial at Celtic is successful. A survey by Your Voice showed many fans are positively predisposed to safe standing at football stadiums, with over 2300 respondents participating. The Premier League and Championship bans safe standing for now, unlike the lower leagues, but things could potentially change, albeit gradually.